Happy New Moon in Virgo! We are already in September and a new season is upon us all no matter what hemisphere you live in. 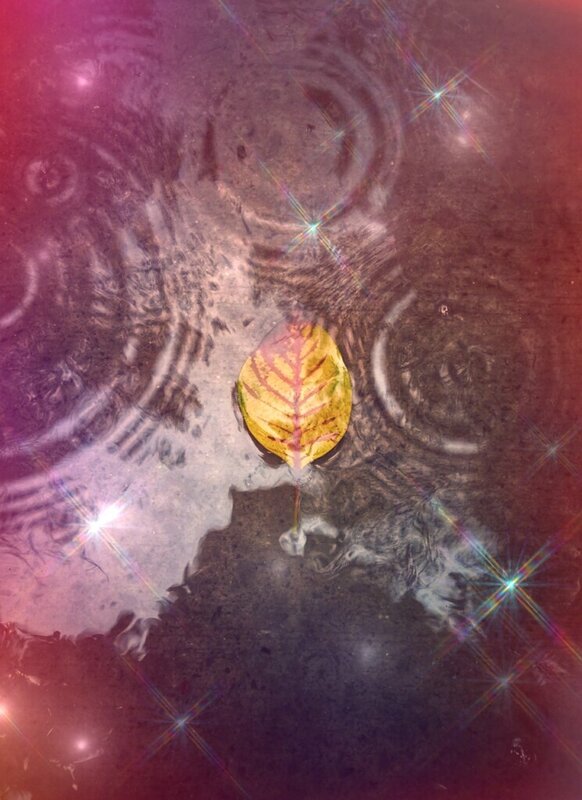 Change is in the air and we are approaching the equinoxes seasons, Autumn or Spring. We are transitioning from the Fire season of Summer to the watery energy of Autumn, and the earthy energy of winter, to the airy season of spring. Fire to Water, Earth to Air... The elements activate different energies within us! Water teaches us to flow and surrender to the currents.. Air brings us freshness, new perspectives, and lightness. Both Equinox seasons purify, renew, and clarify our spirits. Venus has entered the shadow period on September 2nd, and will be in retrograde towards the end of this moon cycle Oct 5th. This Blood Moon cycle will challenge our relationships, our values, and what we deem worthy of our time and energy. As we navigate this cycle it is important to practice compassion, patience, and kindness to ourselves and others. But you will gain more clarity and insight if you allow yourself space to do your Shadow work, especially now that Saturn has gone direct on September 6th! So cozy on up with a cup of tea or a nice glass of wine, learn what other insights this moon cycle has in store for us! We are being asked to tune into our bodies and really listen to what they need right now. You may have been overworking yourself, find you are on the brink of burnout, or feeling a lot of overwhelm this New Moon. Virgo energy can make us feel extra critical of ourselves or others and can bring out our perfectionistic tendencies... But we do not have to engage with them. Give yourself permission to rest your mind, body, and spirit... however this will look and feel to you. This will help you ease into the next season with more grace and fluidity. First Quarter Moon's are always a great time to check-in with yourself... and with the Libra card being pulled, it is a reminder of the Venus retrograde coming up (Venus rules Libra), and so you may feel some tensions rise in your relationships at this time. It is important to speak your truth, and notice if you are giving or receiving more. Do you feel like you are giving and giving to others, but the energy is not being reciprocated? Or have you been taking too much energy from others and that is causing tension? Check-in, take responsibility for your actions, and do the necessary steps to find your balance once again. Apologize, or forgive yourself, and move on. Some people will be experiencing the Full Moon in Pisces on Sept. 24th, and some Sept. 25th in the sign of Aries. Again, another cusp between the elements, water and fire. Both elements are emotional and passionate. By now, we have entered the sign of Libra and the new season. I pulled another card ruled by Venus, Taurus: the Lover. Again, a reminder of Venus retrograde... You may be confronted with obstacles that keep you from focusing on what you love to do. Let Taurus be a reminder to focus on love this Full Moon. 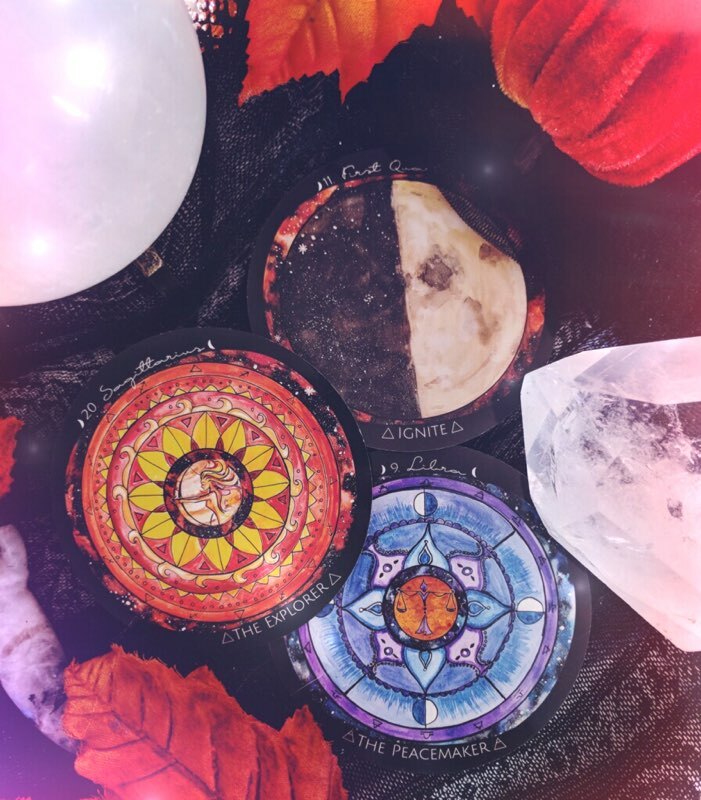 Let yourself be immersed in love, self-care, focus on healing family trauma (look out for an amazing tarot/oracle spread to connect with your ancestors for our Full Moon post!)... get clear about what is worthy of your time and energy... love is always a worthy endeavor. Whether it's the love you have for your family and friends, yourself, or a project near and dear to your heart, or all of the above. Focus on love. A couple of days before the Venus Retrograde, we find ourselves on the Last Quarter Moon in Cancer... the Nurturer. Energy is turning inward and it is time for reflection. What needs nurturing right now? What have you been neglecting? The card pulled is the Flower Moon: Bloom. This is a powerful card paired with Cancer. Cancer is the Mother of the zodiac, so this is a wonderful time to nurture yourself, others, and your space. Take time to make a great home cooked meal and savor it. Decorate your space for the changing seasons and allow the magick of the season to enchant you. Bloom where you are rooted. Do not focus on what you can't have... focus on what is blooming right before your eyes. You will move into Venus Retrograde with grace, beauty, and a full heart. 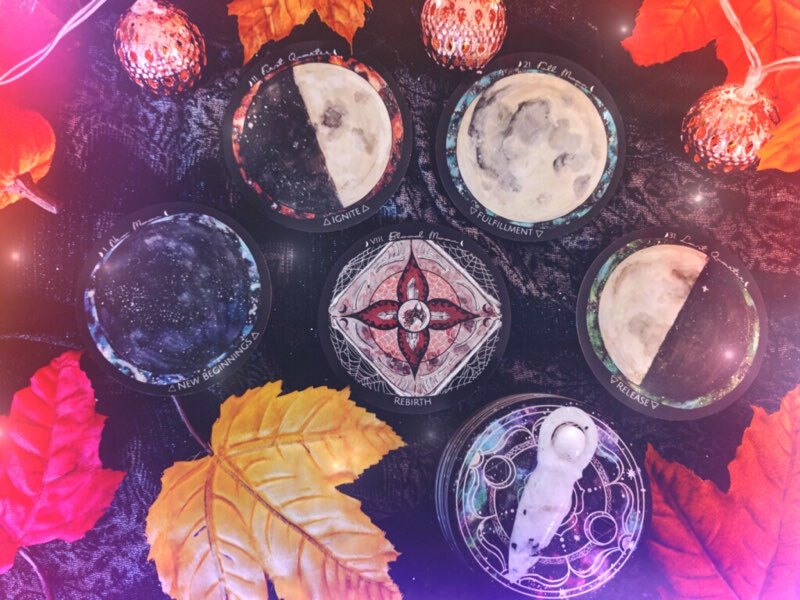 We hope you have enjoyed this reading and watch out for the fun ritual we have is store for you on the Full Moon! We are still working hard on the 2019 Tune to the Moon Planners, pre-orders should begin in October! We hope you have an amazing Equinox season! Be sure to try our Blood Moon spread from our Spirit de la Lune guidebook! Subscribe to receive our free mini moon oracle cards! 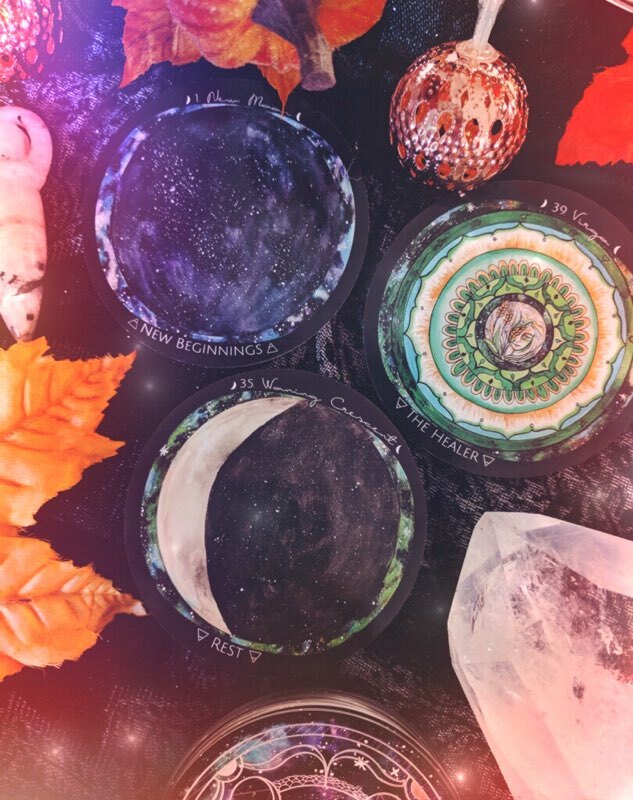 Sign up with your email address to receive news and updates about our deck, and Tune to the Moon planner coming out soon!